It took some waiting, but Tennessee’s signing class finished with a bang. 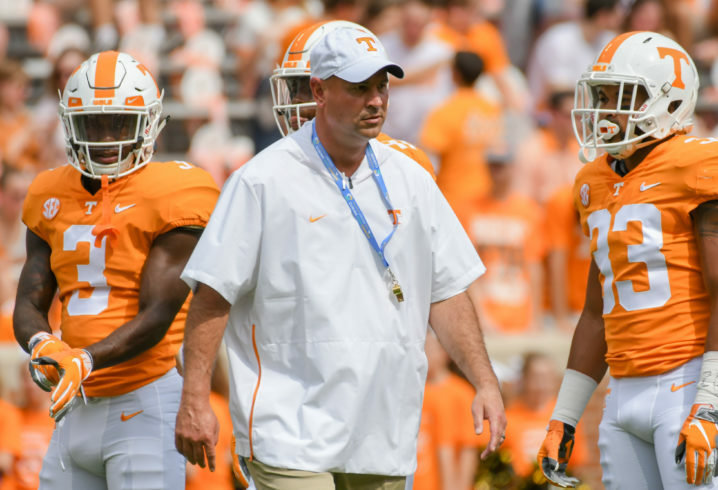 The Vols closed out their 2019 class with a strong finish Wednesday, which has become far more insignificant since the introduction of the Early Signing Period in 2017. In his first full class, UT coach Jeremy Pruitt added two highly-rated prospects that helped the Vols’ class rank No. 11 in the country. 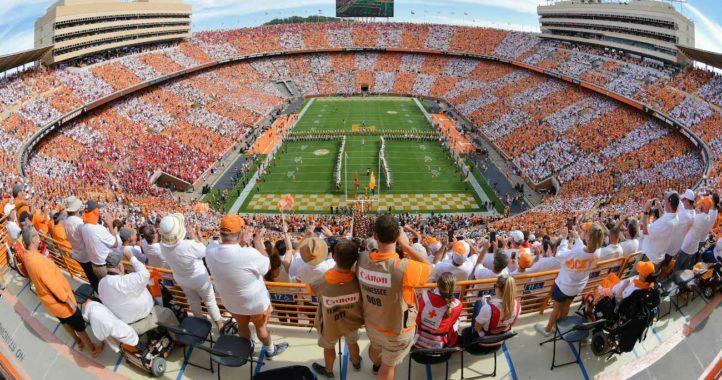 The question now is: Is this the class that will vault the Vols back into SEC East contention? That will play out over the next few years. Georgia isn’t going anywhere. The Dawgs reloaded with the No. 2 class in the country. Florida finished No. 9. But Tennessee’s class included 2 5-stars. Only five teams in the country signed more. And both are the types of foundational pieces that Pruitt coveted. Five-star offensive tackle Darnell Wright from Huntington (WVa.) High School wasn’t a surprise. He had been trending to the Vols for weeks. However, his addition to the class gives UT one of the top offensive line classes in the nation. The 6-6, 320-pound prospect will be expected to contribute early, as will fellow 5-star offensive tackle prospect Wanya Morris from Grayson (Ga.) Loganville, who is already enrolled at UT. The Vols needed to get more physical to match Pruitt’s style. They took a big step in that direction with this class. The surprise of the day came when Henry To’oto’o committed to UT. The 4-star linebacker from De La Salle, a prep power in Concord (Calif.), selected the Vols on ESPN over two finalists: Alabama and Washington. It was a major coup for Pruitt. There was every reason to think To’oto’o would end up at Alabama given their recent run of success or stay closer to home by signing with Washington. Instead, he chose the Vols in what was one of the more surprising commitments in the country. But it wasn’t quite over yet. Some drama followed To’oto’o’s announcement. To’oto’o didn’t send his national letter of intent to UT until hours after his announcement. Was he reconsidering his decision? Given all that Tennessee fans had been through over the past decade, the delay had disaster written all over it. UT fans had every reason to panic. However, the all-important papers eventually came in and hope had been restored that Pruitt would finally be the coach that could turn things around for UT’s football program. Sure, there were some misses Wednesday. Most notably, 3-star defensive tackle LeDarrius Cox from Mobile, Ala., backed off his UT commitment and signed with Ole Miss. It was a loss, but it was easily offset by To’oto’o’s signing. So have the Vols turned the corner? Is this the first step to returning UT football to its glory days and championship contention. Perhaps. To’oto’o’s signing was significant far beyond what his play will bring to the program. UT, as it used to do under former coach Phillip Fulmer, beat countless elite programs to nab a top-flight prospect from California. That’s significant. UT fans also witnessed the emergence of one of the top, young recruiters in the nation. Tight ends coach Brian Neidermeyer, who is just 30 years old, was named the top recruiter in the country by 247Sports. From top to bottom, there is clearly more optimism in UT’s athletic department than there has been in years. The Vols have the No. 1 basketball team in the country, which Pruitt noted as a boost to football recruiting, and is winning tough recruiting battles that it had been losing more often than not. Pruitt didn’t have to rely on legacy prospects to build his class like former coach Butch Jones often had to. Pruitt identified who he wanted and worked tirelessly to land them. Before a parade is planned, let’s remember that UT fans are used to getting excited and having the rug pulled out from under them. That could still happen. There’s a track record that should still be considered. However, Pruitt has already shown more ability than his previous two predecessors in recruiting. That’s reason to think the Vols are on the path to success. To reach a higher level, this class will have to pan out and the Vols will have to add another strong class to build a roster in Pruitt’s image. As excited as UT fans should be after Wednesday, there is still a bit more waiting to come. Not sure about East contention, but I’m sure it’ll put them back in contention to beat Vandy. What was it only 2-3 years ago Vandy beat jawja…. It was 2-3 months ago that Vandy beat ut, but 12 months prior to that game Vandy beat ut. And, 12 months prior prior to that game, Vandy beat ut …. And prior to that everyone hears from Ga, we’re going 14-0, don’t happen, prior to that everyone hears, we’re going 14-0, failure again, can’t win the big one, prior to that Ga again, we’re going 14 – 0, going to win the NC, and as usual failure again, etc , etc, etc, etc, etc, etc, etc, etc, etc, etc. By the way, don’t the Bull Turds have a site of their own, or are they NOT that advanced?? DawgsofWar, ^5, answer of the day! And TNBUSTED, you overlooked wins at the Rose Bowl, Notre Dame, the SEC championship and SEC East championship since the arrival of Kirby. Maybe it was just an oversight on your part? Or did you get nervous thinking maybe you heard Vandy in your attic again? To UGARMYRet, no but I’m thinking you heard “WE CAN’T WIN THE BIG IN YOURS”. Seems the theme with jawja. It’s not about signing a class. It’s about coaching football. Pruitt is doing a good job, just leave him alone and let his work build up at it’s own pace. Will there ever be a time that Tennessee doesn’t put too much time table on a coach? Honestly it is a very impressive class given the circumstances. It gives Pruitt a strong base on the O-line and defense as a whole to build on in the future. No, his team isn’t complete yet, but he’ll have 3 five star offensive linemen for next season, and Lord knows they need it. Only two are guaranteed. Smith may not ever get to play. The development of true freshmen who played this year (one of whom was freshman all-sec), would seem to indicate so this far. Great point. How you develop that talent is so key now. Dabo Swinney is the example of a coach (and his staff comprehensively) who has excelled at this. It would be interesting to see how 5 and 4 stars have panned out over the years. How they ended up fulfilling that potential. Because at the end of the day, star ratings are just the result of opinions going in. It appears Dabo/their strength program may have been juicing up a few players up to get the most out of them. Not saying it directly correlates to winning a Championship, however it definitely raises the question. Pruitt is recruiting up to his reputation. SEC East is on the rise. Can we start copying all UT articles to the Georgia page based on the number of comments? Yet here you are trolling on an article with no tie-in to bama. I agree. What is it with these Ga people continuously coming on a UT site , endlessly, and making all these comments. Does Ga not have a site, or you all bored. Or maybe you are getting worried. It’s the offseason, we’re all itching for any sort of football news. And this is a free and public website for all to read and comment as they please. Not sure why some of you think fan bases should de facto segregate and only read/comment on their team’s articles. It’s the incessant trolling that’s the issue (see first comment and others. It seems your team recruits trolls as well as they do top recruits, given the near monopoly of trolls UGA has on this site. Bring valid discourse and we’re ok, but don’t ignore the fact the your fanbase is leading the troll commentary on nearly every UT article (excluding basketball, for obvious reasons). I see your point and agree to an extent. But sharing an opinion you disagree with isn’t automatically trolling. The correct response would be to call out the trolls rather than complain that other teams’ fans aren’t sticking to their own articles. UGA fans complain all the time when others post on UGA articles… I haven’t seen you share your opinion with them about it being a free and public website. That’s articles about UGA though so it’s different right? BamaTime, I literally just browsed through the past 25 UGA articles and on nos. 1-24 there wasn’t a single comment complaining about fans of other teams sharing opinions. On the 25th article, you were up to your usual troll job and people were calling you out. Yes, UGA fans on this site can be obnoxious, but no less so than Florida, Tennessee, and Bama fans — and there is no group more insufferable than a bunch of chest-pounding Bama fans reveling in their own greatness. So when you say “UGA fans complain all the time when others post on UGA articles”, what you’re doing is extrapolating your personal experience trolling, and the response it generates, across all UGA articles. I’m going to say this once and only once: You are absolutely no better than the likes of DD2 and ilovemydawgs. You are a nasty troll plain and simple. You effortlessly break out personal attacks on others (though mostly just UGA fans) for nothing more than a slight difference of opinion or observation. A month or two ago I saw a random commentor post sage advice in regard to the trolls on this site: don’t fee stray dogs and they wont keep coming back. You, sir, are a stray dog, wandering this site itching for the chance to call someone a “dumba$$” or some other immature name simply because they see things different than you and refuse to bend to you logic. Your presence makes this site comparatively less enjoyable. Moving forward, I will continue to take the random commentor’s advice and ignore you wholesale. Ladonvol67, not sure why this concerns you or were you’re coming from. I’ve thrown a lot of compliments at Pruitt/UT and even a few at Mullen recently. Sure, I’ll throw jabs at SEC rivals like anyone else, but I’m hardly a “d-bag all the time”. Come on Lad(y)Vol, I haven’t seen the rule prohibiting fans of other teams from commenting on articles not directly involving their teams. Take a powder and have a great weekend! BamaTime is a known retard. I would ignore his *attempts* at trolling. You own UGA in spite of the fact that the all time UT-UGA record is 23-23-2? Poor old leghumper can’t read. I said when we are WHERE WE’RE SUPPOSED TO BE we own you. The past 11 or so years we’ve been historically bad and you caught up. How was Fulmers record agains y’all? Everyone comments on other teams articles. I do it all the time. Who cares. One, this is NOT a UT site, it is a SEC site. Two, this article is about the SEC East, and UGA is still there. Imma keep it real with you chief: no. Seriously? !….still have too many holes to fill…but good step forward! The #12 national ranking looks good, till you see that 6 SEC teams were rated higher. Last year there were 7 SEC schools rated higher than UT. That was the issue UGA had before Kirby – Richt would haul in a class rated 7-14 nationally, but was always looking up at 3-5 SEC schools consistently out-recruiting him. Time will tell if JP is another Dabo, but it’s problematic that his two biggest division rivals hauled in classes rated higher (or much higher) than UT the past two years, as well as the permanent crossover game with Bama. It’s still an uphill battle at this point, but Jeremy is making things happen in Knoxville – just like several of us Dawgs told you he would if you gave him a little time and room to operate. The East needs the Big 3 to flourish, and it appears we may be there sooner than any thought this time last year. Yeah-our problem has been patience these last 15 years…. Oskie, I get it. Has to be hell for a historical blueblood to go through this for so long. Regardless, the talent base had to improve and that takes 2-3 classes. No matter how you slice it, two years at a minimum to begin making noise in the division. UF had a stronger base and an easier schedule. Even with last season’s disappointments, you beat Auburn and Kentucky. Pulling for you guys to beat the Gators come September. I’m pointing out how obvious everything you said is to the UT fanbase and that this fan base is patience personified. The only reason we got out of this disaster is because we had to nearly riot to get a quality AD and coaching staff. The only people left in this fan base are true fans who don’t want to see the program die. Possibly only Auburn/LSU/aTm would do what UT fans did under the same circumstances. Well most of you dawgs did nothing of the sort. This Dawg did – multiple times. And still does. Eastern Big 3: Georgia, Florida, Kentucky? No, mr Potatohead did not. UT had the 2nd most talented roster in the SEC East in 2018, and they finished dead last and didn’t go to a bowl game when teams from that division like Kentucky and Vandy did. 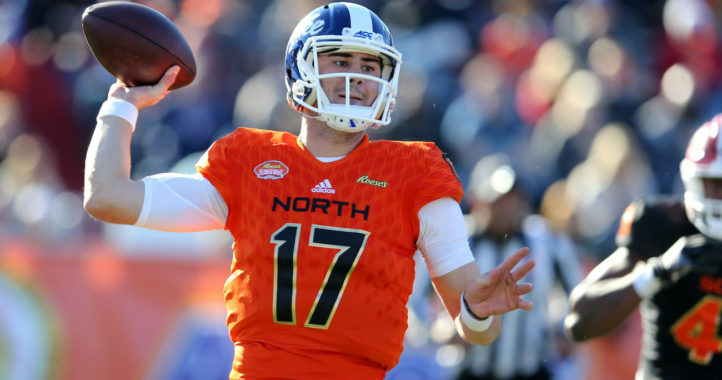 Talent is not now, nor has it ever been Tennessee’s problem. Currently their issue with why they will not win games is that they don’t have a head coach. Grabbing some homeless out of work circus clown off of the streets and naming him head coach does not MAKE him an actual coach. All proot has done since the day he was hired was blame the players for everything. Each and every time he has ever opened his mouth, he’s been blaming his players and tossing them under the bus. Well the talent level hasn’t risen one bit with this class, and half of the players on the team are officially his kids, not his predecessors, so when they go 4-8 in 2019, I ask you to look at his excuses in a more pragmatic light. You can’t just sit there year after year tossing one kid after another onto the train tracks and expect to stop the train. That may have worked for him in year 1 with a delusional fanbase who is desperate for any kind of wins. Hell, they’d be happy with losses if at least they weren’t ugly losses. I’m sure they would be celebrating if Mr. Potatohead went out back and peed on the dumpster fire to help lower the height of the flames if nothing else. Breakout season for the vols? Don’t make me laugh. They haven’t been a relevant football team since any of their current players were born. And don’t bother trying to troll me or stick up for Mr. Potatohead, I do understand that Tennessee fans are hopeful, but you all got screwed AGAIN by your school. They were just desperate to put someone behind the podium this time but a guy with zero coaching experience is never the answer. You would have been better off to be stuck with Butch Jones. A coach, as does a general in war, goes to battle with the players (soldiers) he has. He can’t stand up there and blame each and every loss on his soldiers not being fast enough or strong enough or as motivated as the other side. Dan Mullen came in at the same time as Potatohead and took Florida to a top 10 finish in 2018, beating 2 top 10 teams on the way and winning a NY6 bowl game. He had far less talent on his roster than Tennessee did, generally what is considered to be the most depleted Florida roster in 3 decades from a talent perspective thanks to his predecessor. That’s what a coach does though, he takes what he has and he makes it work. He motivates those who are underperforming, he doesn’t alienate them and toss them on the tracks like Proot did all year long. Would you want to be a tennessee player and sit there after yet another loss hearing the guy they say is your coach blame YOU yet again on the loss while he brags about how he is going to bring in 25 players who are better? That’s the worst motivational speech I’ve ever heard, either while in the military or from any sports coach. Take that with the FACT that tennessee did not improve from start to finish in 2018, it got worse. Do you think the first losses of the season to WVU or Florida were worse than actually getting your doors blown off by Vandy in the game that was probably the most important of your entire season, the one that would make you bowl eligible? You have some serious issues dude. Is your mother finally making you pay rent for living in her basement? Or did she kick you out for stealing her welfare check? “Don’t bother trolling me” lol. Meanwhile this imbecile writes a Dostoevsky-length comment containing nothing but incorrect information and ad hominems. “some homeless out of work circus clown off of the streets and naming him head coach” Did you sit up last night thinking of that? OUCH!!! How about that Gator loss today you insufferable pos? You’re probably one of the Gainesville high society members that were saying things to Schofield that I won’t repeat here. Clean the skid marks off your jorts and go catch that Greyhound you came in on. 2nd most talented roster in the east? Maybe in a few spot you could say we had some talent, but our offensive line’s average weight was close to 290lbs after Trey Smith went out with blood clots. Average weight now is probably 305 after adding Morris and Wright in this class however that is still close to the bottom of the SEC. out. But I am cool alright. I am so cool and have such a great life I go to other teams articles and give rambling diatribes. I think you and Neil Blackmon need to join a support group. One in which they teach you how math works. Tennessee might be on there way back. I say the vols will finish with 9-10 wins maybe a new years six bowl we will see. Jeremy is doing a good job that steak bama has on tennessee will end soon. I Can’t wait to see the Bammers lose control it will be awesome.